Our 10am Sunday Service is held at Impact Auditorium. You can expect a welcoming and vibrant environment where we gather to seek God together and experience His Good and Loving character. We have LiFE Groups that run all over Kapiti, at various times join the week. 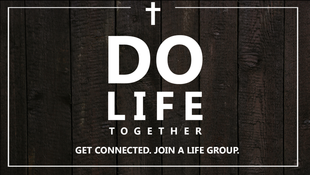 This is a great way to get connected into the life of the church and find a group of people to laugh with, cry with, and ultimately encounter God with as you journey LiFE together.